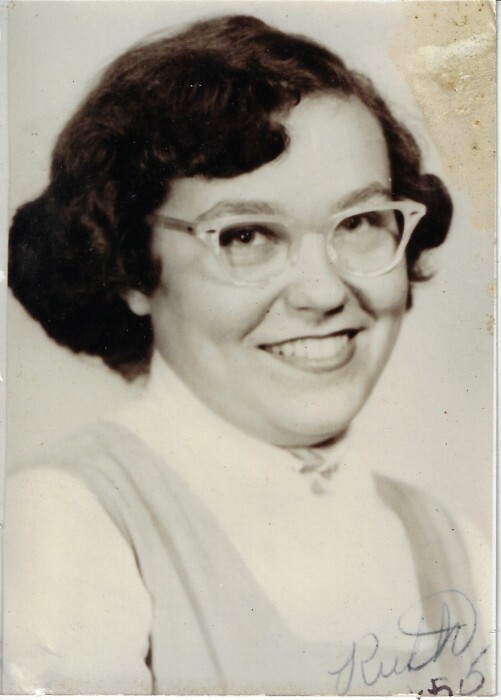 Ruth Grace Ludwig, age 79, passed away peacefully at her home in Elkhart on Sunday, February 10, 2019. Ruth was born November 29, 1939 in Benzonia, Michigan to the late Gerald and Irene (Adler) Demerly. On November 7, 1957, she married Richard Ludwig. Richard preceded her in death. Surviving are her children Bonnie Ludwig, Lucia (Wayne) Roberts, and Lisa (Dave) Coffey of Elkhart, 8 grandchildren and several great grandchildren. Surviving as well are her siblings Nicholas and Beth Ann. Visitation will be held from 5-8 pm Thursday, February 14, 2019 at Cruz Family Funeral Home in Osceola. Funeral services will be held at 10am Friday, February 15, 2019 at Cruz Family Funeral Home with interment to follow in Prairie Street Cemetery, Elkhart. Ruth was employed for 32 years with Godfrey Conveyer as a machine operator until her retirement in 2008. In her spare time, she enjoyed crocheting and spending time with her family, especially her grandchildren. In her memory, donations may be made to the Funeral Home to help defray Ruth’s final expenses. To make a donation, leave an online condolence, light a virtual candle, or view Ruth’s online video tribute, please follow the links provided on the Tribute Wall tab above.